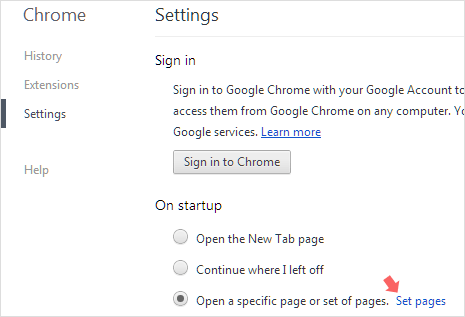 Majority of us set “Google” website as default homepage in web browser. While Google is good, have you noticed how many times did you actually use Google when opening browser window for the first time. We tend to use Google Search more when actual browsing starts at later time. On the other hand, few users prefer to keep new browser window blank to avoid any distraction while starting up the browser. You know, good distractions can be good. If you want to read and learn something new everyday – then there is nothing better than Wikipedia goodness. You can get this by setting your web browser homepage to random article page (http://en.wikipedia.org/wiki/Special:Random) of Wikipedia website. So every-time you open fresh browser window, random article page from Wikipedia will open. If topic interest you, read it otherwise move to your daily online chores. If there are kids using the internet, this small change can atleast make them notice something knowledge-able. Also with no advertisements and clutter free interface of Wikipedia website – focus is all on good content. 1. Click button at upper right and then click Settings option or you can directly open this by typing chrome://settings/ in the address bar. 2. Under “On Startup” section, click to select Open a specific page or set of pages option. Then click Set Pages button next to it. 3. In Enter URL box, type or paste this url http://en.wikipedia.org/wiki/Special:Random and click OK button. Close all Google Chrome windows and then open it again. Now Google Chrome will open with random article page from Wikipedia website – knowledge bliss, what say?